Detached building also of stone with a sheeted roof alongside the farmhouse itself is a 3 bay open fronted Building/Implement Store: 4.87m x 2.74m of traditional stone building under sheeted roof and with fully concreted floor. This building faces onto the orchard area. To the rear of the property is an enclosed garden area as well as further garden to side and front primarily laid to lawns. To the side of the house is an old orchard paddock and three bay implement barn of stone under a sheeted roof. On the outside of the garden and house enclosure is a rough stoned yard area off which there is a detached open fronted garage of stone with sheeted roof. Adjoining building 2, traditional stone building under an onduline roof with concrete floor. The building is single storey and benefits from mains power with no water. There are various openings and doors leading into the central courtyard area. The building is internally divided into various loose boxes and tack rooms. (N.B. Directly adjoining this building is a 3.10m x 5.40m tack room used by the current owners but which belongs to Rora House, the adjoining neighbour. This tack room benefits from access into the internal courtyard area but also has a rear access to Rora House). The land extends in total to 100.87 acres (40.82 hectares) including the farmhouse, buildings, drive and land and of this 92.35 acres (37.40 hectares) is free draining grassland and 6.62 acres (2.68 hectares) natural regeneration broadleaf woodland. The western side of the land being OS Numbers 7136, 7524 and 9155 is predominately level and in an elevated position with extensive views across South Dartmoor towards Hay Tor and the Bovey Basin. towards Teignmouth. The eastern side of the farmland faces down into the valley with Rora Farmhouse and Buildings within the central section with much of the land being east facing apart from the woodland OS0712 and the adjacent field OS1120 which is more steeply north facing. The field boundaries are predominately bordered by semi and mature tree and hedge growth to all boundaries and with some boundaries particularly along the internal track OS9738 being to only mature trees. External boundaries and some internal boundaries are also stock fenced with sheep netting and two strand plain wire and some other internal boundaries not fenced. There are various interesting wild habitat areas situated across different sections of the farm and areas for stock to shelter and the land benefits from a private water supply rising on the farmland which leads to a water tank situated to the north of Rora Farmhouse. This supply also provides water to neighbouring land and property owners with Rora Farmhouse having an arrangement with the neighbouring land/property owners wherein they maintain this supply. Access is via the farm drive which is also owned but over which the adjoining property Rora House is understood to benefit from a full legal right of way at all times and for all purposes. This drive is partly stoned. There are footpaths/bridle tracks that cross the land at various points providing extensive opportunities to walk and ride without the need to use public roads. Rora Farmhouse and Traditional Farm Buildings – Strictly by appointment through the Agents, Messrs Rendells, 57 Fore Street, Totnes, Devon TQ9 5NL, telephone: 01803 863888. Please note all viewings of the farmhouse and buildings to be accompanied. 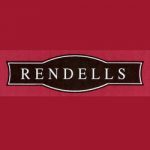 The Land – The land may be viewed at any time during daylight hours only with a set of Rendells Sales Particulars to hand. Please make sure that all gates are shut as there will be livestock on hand please respect the fact that Rora Farm is a working farm.